If your kids are anything like mine, they are being swept up by the mermaid craze. Who doesn’t love the thought of being free to run and swim in the ocean all day and not have a care in the world? 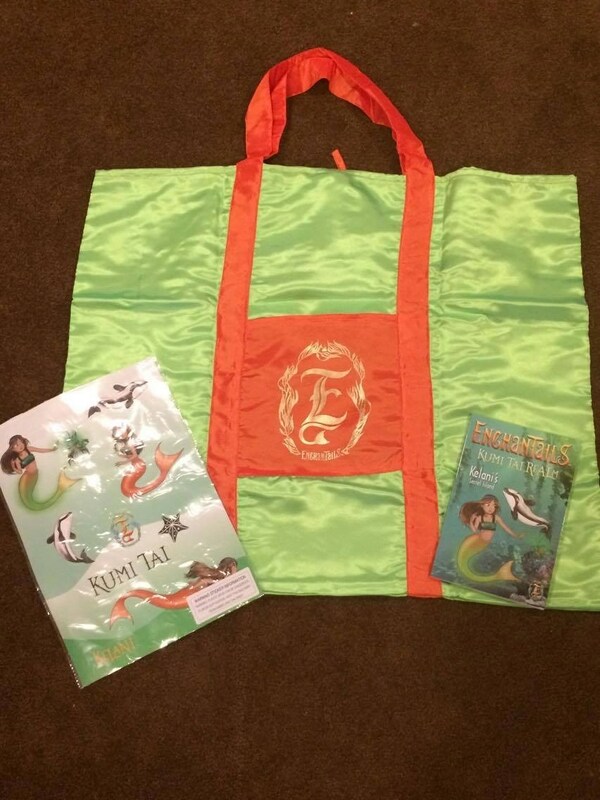 Growing up we had The Little Mermaid, and now your little ones can have EnchanTails. What are EnchanTails? 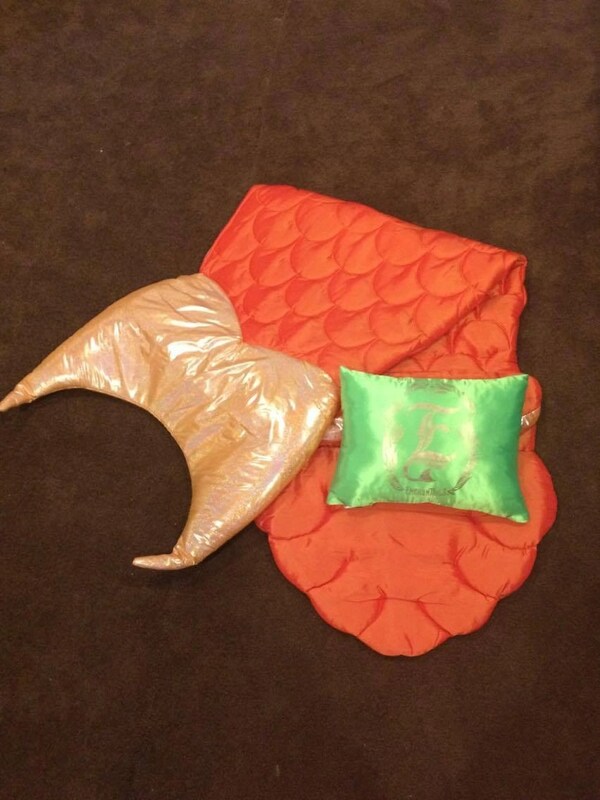 They are an adorable five piece mermaid tail slumber bag set that comes with your choice of sleeping bag (size 26″ x 83″). The set also includes an easy carry tote, decorative pillow, wall decals, and a great starter chapter book. The age recommendation for this product is three and up, and it is not for outdoor use. We chose the beautiful Kelani Mermaid Deluxe 5-Piece Slumber Bag Set. Did you know the threads glow in the dark? The Greens and Oranges set each other off in such a lovely way. My daughter especially loves this set because her name starts with an E and she loves the fact that the pillow “is just for her” as she says. I love the fact that the company incorporates a matching book into the set. You can choose from three different sets: Kelani, Tasi, and Lucienne. Each comes with a different chapter book for your young readers. My oldest child is five and while she isn’t quite reading yet she loves the story and learning about the adventure of Kelani. Mermaid Kelani means Heavenly. She has a companion called Keike who is a dolphin. The book contains beautiful illustrations and even a map of her underwater world. This set also includes beautiful wall decals for your little one to continue her underwater adventures when she’s in her room. My kids’ face lit up when they saw the set come in the mail and instantly wanted to open it and play with it. This is every little kids’ dream come true — growing a tail and being able to play all day. Kids of all ages will absolutely love these bags full of joy. It’s perfect for sleepovers or just for playing pretend, giving your child a taste of sea fun even if they are miles away from the ocean. Looking for more fun? Visit their website and download coloring pages to keep the fun going for hours. Looking to get one of these beautiful sleep sets for your child (or yourself )? What are you waiting for, take the dive to get yours today! Which set will you choose? That is so cool!! My nieces are SO into mermaids right now! They are actually having a mermaid birthday party next month. I had not heard about the mermaid craze but i can see that it is so much fun for those girls. I have to spread the word to my nieces. I love this…and my girls would too! They are Mermaid crazy! My girls would love a mermaid anything ! How fun is this mermaid tail! I know so many littles who would just love one – and awesome they come with a book! OMG do they come in adult sizes?? I am definitely in the mermaid madness craze! These are a fabulous option for girls! I would get the Tasi one for my daughter. I think she would like it. What an adorable idea! I know my niece would love to make this. Mermaids are so hot right now. These are so much fun! My daughter would definitely love something like this. My daughter loves mermaids! The sleeping bags are so cute. My niece has really been loving everything about Mermaids lately! I think this would make a great Christmas gift! My girls are dying for mermaid towels and blankets but this is so much cuter! OMG this is the cutest thing ever! I don’t have kids but I love mermaid anything. My niece would just adore this! She has been way into mermaids ever seeing The Little Mermaid for the first time. 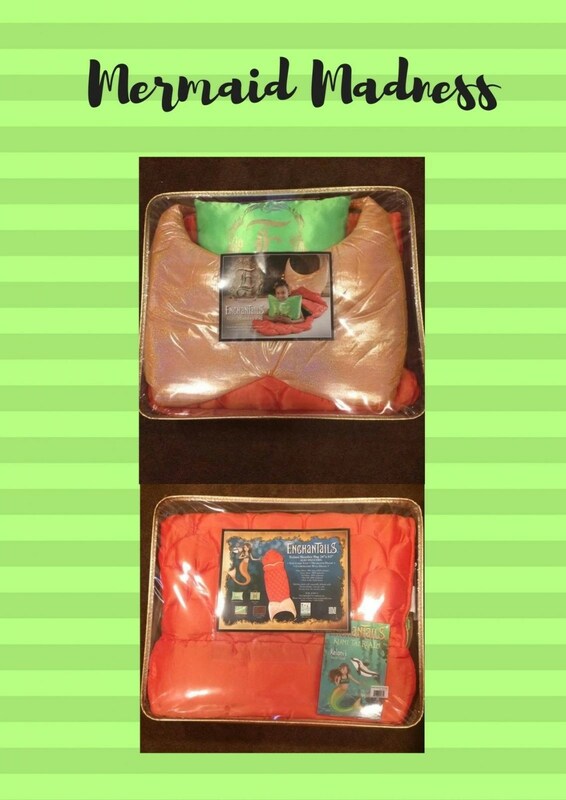 These mermaid tail sleeping bags are so cute. I know my nieces would love them. 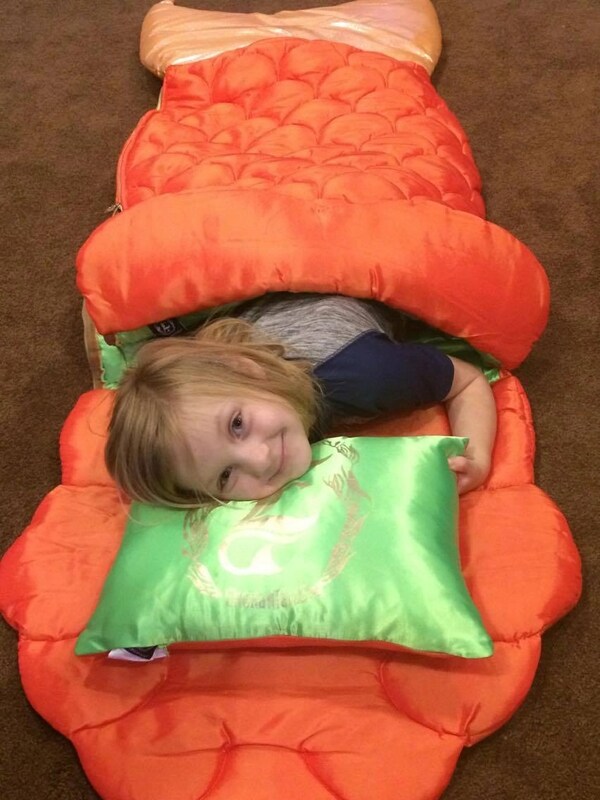 My daughter would go crazy for this sleeping bag. She even plays “sleep over” when her friends are just over during the day. Her sleeping bag is out all the time. These are so cute, and look like such a fun item to keep around for sleepovers and such. My grands would love it! That is the cutest sleeping bag EVER! After having only a household of boys for so long, I am so excited to get into things like this with my new baby girl. I especially like that it comes with a book because any excuse to do more reading is great! I would love this for my granddaughter. She would just love it. Oh these are awesome, What a great gift. These are so cute, and useful, too, you don’t feel like it is a waste to indulge in mermaid madness. This would make a nice gift, might make me favorite auntie! I think the mermaid madness is cute and adorable. It’s like the super hero madness. The mermaid sleeping bags are so cute.